The Everton playmaker has soared up the FPL midfield standings after a run of superb displays. 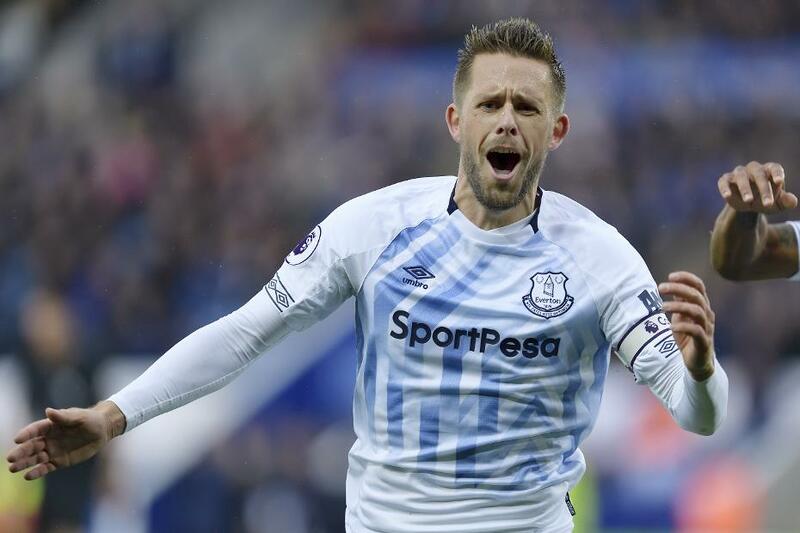 Sigurdsson has scored all four of his goals this season over the last four Gameweeks, producing 33 of his 42 FPL points. He next faces Crystal Palace on the back of successive double-figure hauls against Fulham and Leicester City. His underlying statistics further highlight Sigurdsson's return to top form. From Gameweeks 5-8, his 16 shots were second only to the 18 of Sergio Aguero (£11.3m). The Icelander was also the leading FPL player for chances created for that period, with 14, but failed to earn an assist. Compared with his previous displays, Sigurdsson has improved considerably. He managed only two shots on goal and created nine chances in the first four Gameweeks. Yet the popularity of his team-mate Richarlison (£6.8m) means Sigurdsson has mainly been overlooked by managers in Fantasy. He is owned by only 4.4 per cent, compared with the Brazilian's 23.5 per cent. That makes him a big differential for the encounter with Palace, who have lost five of their last seven matches. His all-round potential means that Sigurdsson can be a generous source of points once again on Sunday afternoon.